A lot of things I wrote the night before I turned 30 remain true. I'm still working on feeding, bathing, feeding, diaper changing, etc all while loving my kids more and more. As weird as it seems for those who have never been in this position, I'm living my dream. I still haven't had time to get on a crisis because most of my time is dedicated to 3 wonderful people: my husband and my kids. I have used the little time I have for myself for self-improvement. 10 years ago I didn't know I'd be where I am now. I think I lived the past 10 years intentionally and I hope to do the same for the next 10. • Get in the habit of running. It's awesome. • Save like there's no tomorrow. • Do more things for fun. You work on your career hard enough. • Be more acceptive of other's failures. Christ was very compassionate to all. 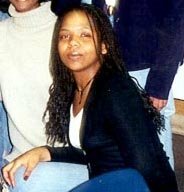 20-year-old Cintia looks so sassy! :) I'd tell my 20-year-old self not to sign up for credit cards. at 20 you looked like a doll, girl... besides repeating all you'd have told yourself at 20, I'd have added to care first and foremost for my own self and then help others. aos 20 anos vc parecia uma boneca, garota... e além de repetir tudo o que vc teria dito a vc mesma nos 20 anos, eu teria acrescentado cuidar de mim mesma em primeiríssimo lugar e depois ajudar os outros. I'd tell myself to find Jesus and don't let go for anything, but having said that I realize we all come to Him in His time. wow! my 20 year old self would have loved to hear,"Girl love ya self more, youre so worth it! Enjoy life, forget about the bitter past and stay focus on what is now!" But I thank God for the 10years of personal and spiritual growth that have made me into the more confident and carefree 30 year old woman I am today! @RadiantSuccess growth is a wonderful thing. Thank God for your testimony!